If you want your artificial turf to look its best, you need to make sure it is installed correctly by a qualified contractor. 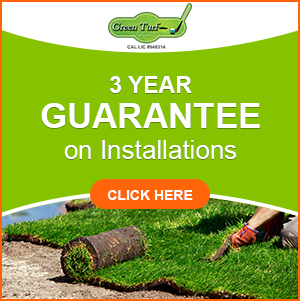 At Green Turf, we have the skills and experience needed to make your project a success. We have over 10 years of experience installing artificial grass for all kinds of applications, and you can trust our conscientious crews to treat your property like their own. Our owner Omar will personally oversee your installation to make sure it is perfect down to the last detail. Step 1: Site Prep. Before we can lay down the artificial turf, the site needs to be properly prepared. This may involve many different steps depending on the requirements of your project, such as removing old turf or concrete, relocating electric wiring and irrigation lines, capping sprinklers, installing new drainage lines, and adding bender board around the edges of the area. Then, we can grade the site and apply a layer of compacted base fill. The base fill will help with drainage as well as create a stable, even surface for the artificial turf to go over. Step 2: Custom Fitting the Turf. Starting with a straight edge whenever possible, we will roll out the artificial turf and then cut it to size, being careful to leave extra material around the edges. When seams are required, we cut them in an S shape rather than a straight line. This prevents the turf from bunching up along the seams and creating an illusion of discoloration. Depending on the amount of foot traffic you expect on your artificial turf, we may use tape or nails to secure the seams. All turf edges will be secured with nails. We know how to drive the nails correctly so the nail heads will be hidden and you will not have any dimpling due to overtight nails. Step 3: Tucking Turf Edges. We use a special tool called a wonder bar to tuck the edges of the artificial turf down around the entire perimeter. This hides the exposed edge of the backing and helps to create a lush and natural look at the edges of the turf. Step 4: Applying Infill. An infill product such as Durafill, sand, or crumb rubber must be applied over the artificial turf to create ballast and add cushioning to the surface. We use a power brush to separate the blades as the infill is applied, which helps ensure the infill granules get down deep between the blades to help hold them upright. Step 5: Final Groom. As a final step, we will make one more pass with the broom to get all your blades standing up in the same direction and to remove any extra debris. Ready to Transform Your Property with New Artificial Grass? If you would like to learn more about having Green Turf install your new artificial grass, please contact us at (951) 656-4150 today. 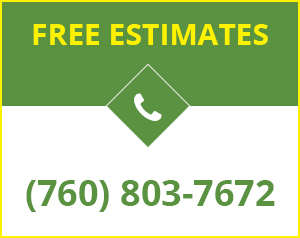 Our prices are among the lowest in southern California and we’ll be happy to give you a quote.